President Muhammadu Buhari has again rebuked those he said looted the nation’s resources, especially since the nation returned to democracy. 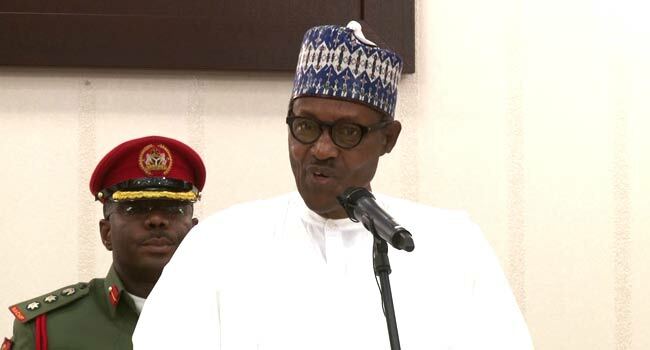 The President, who received members of the 1,000 Support Group on Friday in Abuja, condemned the action of the alleged looters which he said brought the nation to its present condition. According to him, they only got to the position because of the trust Nigerians had in them but the Federal Government will not relent in its bid to rid the country of corruption. “They admitted that they spent 16biliion American dollars on power, where is the power? You know it more than I do,” President Buhari told his supporters at the Aso Villa in the nation’s capital. He added, “So, this large-scale abuse of trust; only God can give them punishment; so, we leave them to God. But those we can catch, we will take them before the court and get them prosecuted. The President who is seeking re-election in the coming polls insisted that his administration is on a mission to recover Nigeria’s resources from those who allegedly looted them. He said having served as a governor and a minister, he would have been in trouble if he did not stick to his principles of accountability.